After the excitement of getting my new car this afternoon (a beautiful Volvo I’ve nicknamed The Silver Fox), I took it relatively easy for the rest of the day. I had to stretch out my legs after working them so hard the past few days, and also had to run some last-minute errands for my mother before the great beach vacation! I’m sad I’ll only be able to go for a few days, but I’m sure it’ll be a blast regardless. 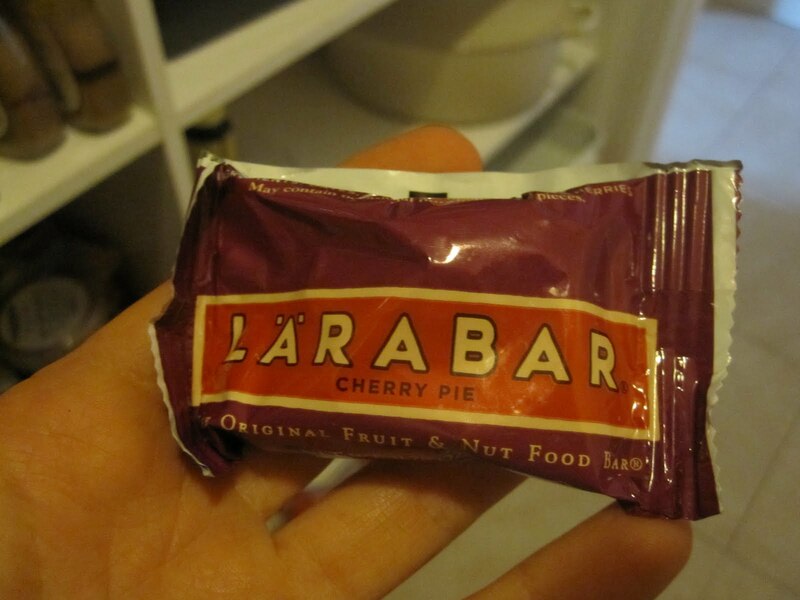 To prep for my errands, I ate a few more bites of watermelon, plus a Mini Cherry Pie Larabar. I used to hate these bars, and I have no idea why, as they’re absolutely amazing! They’re made with extremely few ingredients. My favorite flavor is Peanut Butter Cookie. I have no idea how they managed to make Dates, Peanuts and Salt taste exactly like the fresh-baked cookies of my youth, but they did! But Cherry Pie is fantastic as well. I wish I had enough money to buy every single flavor and enjoy them every day as a snack! After errands, I watched some ESPN with my mom and prepped part of my dinner. 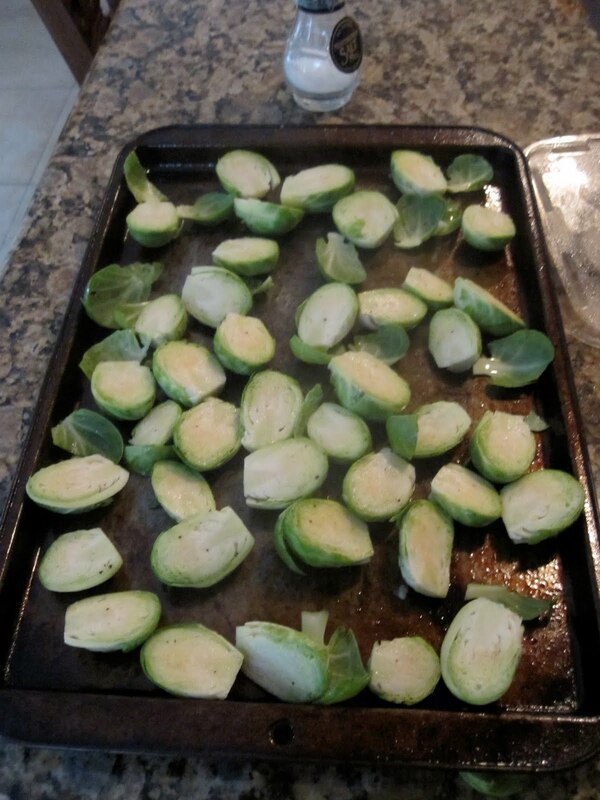 I sprayed a tub of Brussels Sprouts with Pam and also put a tsp of olive oil on them, and massaged them with salt and pepper until they were fully marinated in the oil and seasonings. I then stuck them in a 350 degree oven for about a half hour ‘low and slow’ style, until they were browned and soft. I served these babies with a grilled chicken breast and lettuce on an Arnold’s Multigrain Sandwich Thin, with some ketchup and Hellman’s Light Mayonnaise. I absolutely LOVE mayo, but I have to use the light stuff or else I’d be in serious trouble. 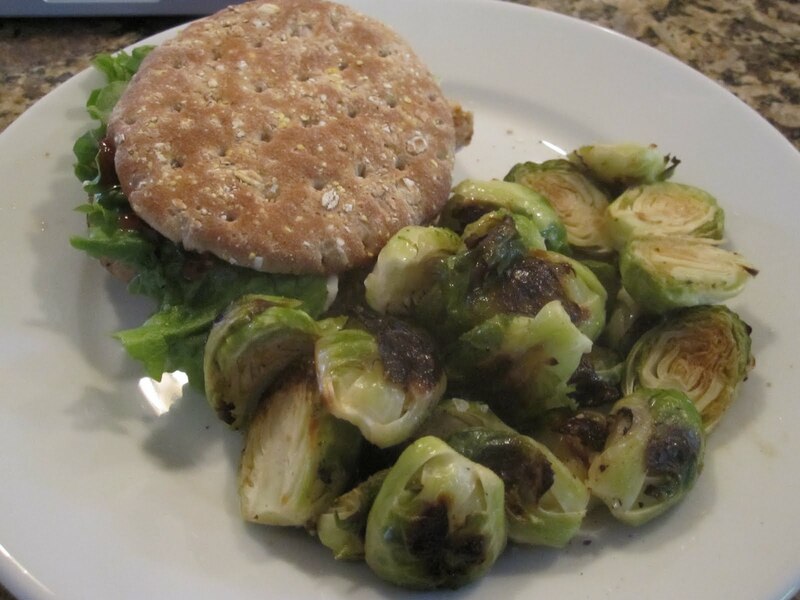 The brussels sprouts came out delicious, but I should have cooked them a little bit longer. They were still a bit hard and crunchy. And I should’ve put another tsp of oil on them. Nevertheless, they were still good! 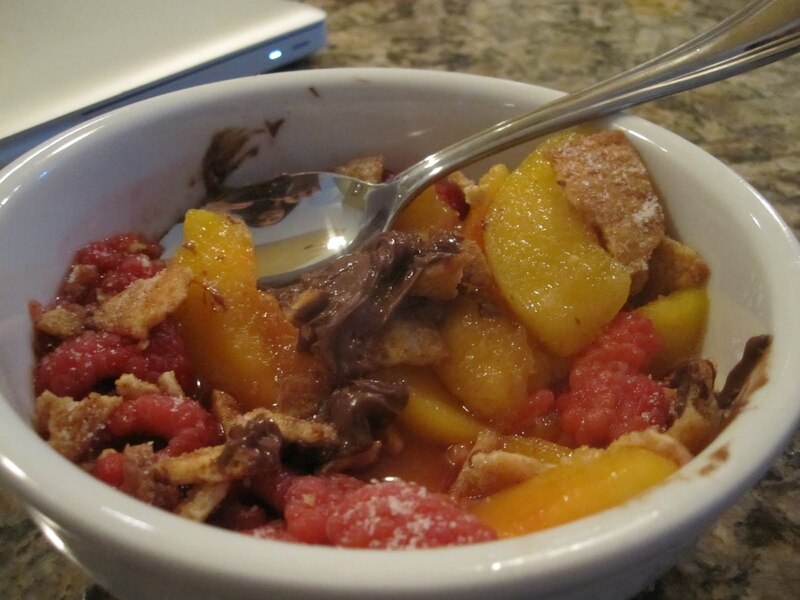 For dessert, I had a tremendous desire to eat a fruit crisp. I threw a cup of Dole Frozen Peaches into the microwave along with the last few raspberries I had in a half-pint tub. I served it with a tsp of Nutella and 2 crushed up Stacy’s Cinnamon Sugar Pita Chips. If you have never had Nutella or one of its more native Italian counterparts before, I urge you to go out and buy some. Now. The Nutella we get here in the States is not, I admit, the same as the Nutella in Europe. It’s much more processed here with more added sugars. 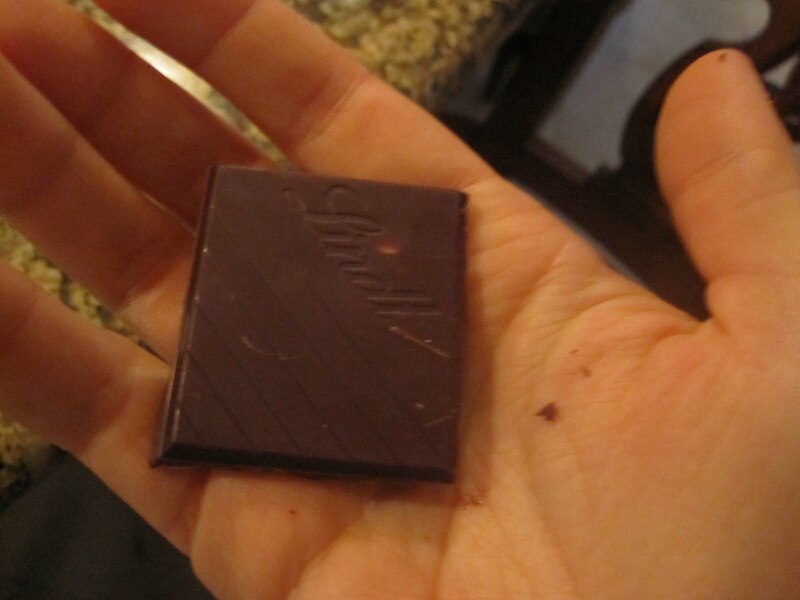 But the combination of hazelnut and chocolate is still decadent and luscious, so I won’t complain. If you can find it, I’d try out Rigoni Nocciolata, the exact same thing but from an Italian company. It’s a bit expensive but it lasts forever, and the best part is, it’s gooier than Nutella so it’s easier to drizzle on things! Off to drink my weight in water and crawl into bed. Tomorrow, I get the feeling there will be smoothies in my future. Smoothies, and yoga. Ahh, Tuesdays.